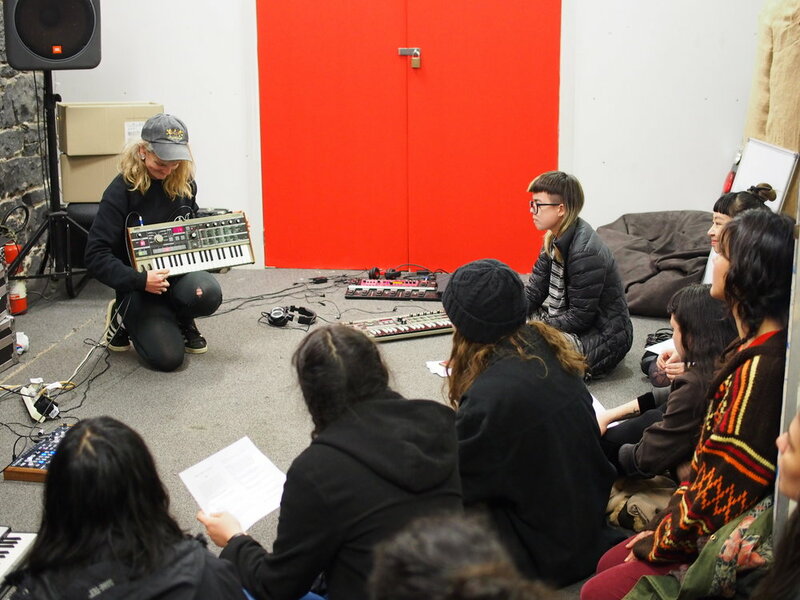 Melbourne Sound School is a community project aimed at upskilling and celebrating people creating electronic music on the margins. Since her founding of the project in 2017, Bridget and the School won that year’s Music Victoria award for Best Experimental/Avante Garde Act, and has received funding and support from the Australia Council, Creative Victoria, Maribyrnong Council, and Melbourne Music Week for its 2018-19 programs. It currently runs programs at Footscray Community Arts Centre, Phoenix Youth Hub, Signal Youth Arts, and Fitzroy Clubhouse. It delivers a busy program of weekly events. The School was founded due to a need for accessible and inclusive, free and high quality education in electronic music. Mainstream courses and spaces often struggle to prioritise people of colour, LGBTIQA+ people, women and girls, and people with disabilities - despite the wealth of electronic music originating from many of these communities. The School started as a 100% volunteer run initiative, and now provides employment and mentoring opportunities to the many artists who facilitate MSS workshops, in topics including Ableton, DJing, synthesizers, sound engineering, circuit bending, electronics, turntablism, etc. Its artist talk series has hosted international artists including Rashad Becker, Klein, and Maria Chavez. Bridget is co-director of MSS, coordinates the synthesizer program and teaches workshops focusing on synthesizers, hardware, and DIY MIDI controllers. By aiming to get participants learning through collaboration and play, her workshops create a safe, healing, and fun space to explore electronic music.